Some of the effective home remedies to get rid of hair split ends permanently. 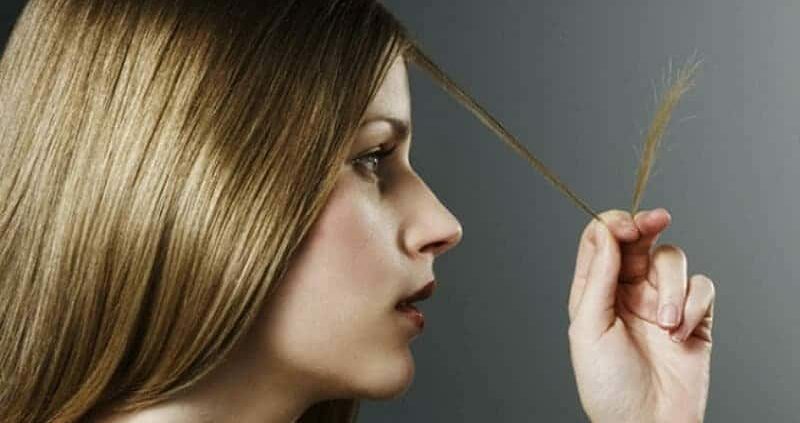 Split Ends is an issue which can leave you stressed on a beautiful day. Women are the biggest sufferers as they use these chemicals on a daily basis to get a lustrous look. These compounds result in gradual dryness and ultimately leads to split ends. Split ends are caused when the internal structure of the hair gets weak, dry and dusted. No need to worry and hurry for medications. The cure lies within your reach. You can avoid split ends by following some simple steps and preparing some home remedies. First, let us see some causes of split ends. • Mix an egg with some olive or almond oil to form a batter. Apply this on your hair strands to remove dryness and get a glossy shine. Wash it after 30 minutes. If you do not have access to olive oil then only beaten egg can also be used a hair mask. • You can also mix egg, orange juice, and mashed banana along with some honey. Applying this mixture provides nourishment to the hair strands thereby making them thicker. This can be done once in 2 weeks. Papaya can also be used as an effective remedy for split ends. Papaya can be utilized in the following way. Take a ripe papaya and boil it in water. Sieve out the paste and drain the left out water. Now mix this paste with yogurt and apply it on your hair to feel revitalized. This helps in increasing the blood flow to the vessels thereby improving the hair quality. By applying castor oil, you easily get rid of split ends from your hair.Take some castor oil along with mustard and olive oil and Mix them in equal parts. Apply this prepared mixture on your hair tresses. Now leave your hair for about 45 minutes and then wash your hair with lukewarm water. This also makes your hair thicker and fuller.This therapy helps in oiling and preventing the dry scalp condition. Take ½ teaspoon of whipped cream along with a cup of milk. Whip it properly using a mixer.If you want to add some conditioner you can. It’s your choice. Now apply this mixture and leave it to settle for about 20-25 minutes.After that wash it off to get smooth, silky and shiny hair free from split ends. Take some drops of honey and add 1-teaspoon of curd and some carrot juice to it. Mix these ingredients properly and apply it on your hair strands. Leave it still for about 20 minutes and then wash it in running water.This technique will not only prevent inflammation and dandruff but also provide a lustrous effect to your hair. Beer is a natural conditioner for your hair. Wash your hair with beer after shampoo to get shiny and silky hair free from split ends. This is because the major ingredient alcohol helps in strengthening the roots by providing nourishment and enrichment. This improves the blood flow to the vessels and also prevents dryness. It also helps in removing the dust. Take an avocado and mash it with a mortar. Now, add some olive or mustard oil. Your favorite conditioner can also be a substitute. Mix all these to form a paste. Apply this mixture to your hairstreaks and leave it for 30 minutes. Wash it in warm water to get relief from split ends. This is one of the best ways to get rid of split ends. Take some olive oil in a bowl and warm it. Massage this warm oil on your scalp as well as on the split ends for 20 minutes. Wash your hair with a mild shampoo. Regular usage of olive oil can help in improving the hair quality and also will give a natural gloss to it.Olive oil can also be blended along with aloe vera gel. Apply this mixture 20 minutes before taking a bath. Wash with plenty of water. Take some dry coconuts and grate them properly into fine particles and collect in a container. Add water to some grated coconut. Boil the ingredients over a high flame till the water dries out leaving coconut oil. Apply this oil on your scalp as well as split ends to get an instant cure. This oil has several anti-fungal and anti-microbial properties due to which it checks the reoccurrence of dandruff. Purchase some chamomile tea bags from the market and then boil these bags in the water. Rinse your hair with this solution to get hair free from split ends and frizziness. You can also massage your hair with a conditioner before using this method. Shea butter can act as an oiling agent for your hair strands. This butter can be used for massaging your hair; especially the split ends after shampoo.This provides better nourishment to the hair tresses and also frees them from getting tangled. Cocoa butter provides the same effect as that of shea butter. Massaging regularly with cocoa butter helps in preventing split ends and also provides a natural shine to your hairstreaks. Argan oil, which has its roots in Morocco, helps in providing nourishment to hair.It also helps in preventing dryness, dandruff, damaged pores and split ends. Take some clarified butter (milk fat separated from melted butter) or ghee.Warm it properly and massage it into your hair.Leave it for about 30 minutes and then wash with lukewarm water to get relief from frizziness and split ends. Take ½ cup of black lentil seeds and some fenugreek seeds and blend them into powdered form. Add some olive oil and yogurt to the ground mixture.Mix them properly to form a thick paste.If you want, you can also add mehndi to get color. Now apply this mixture throughout your hair and leave it still for about 45-50 minutes.After that wash your hair with plenty of water to get a lustrous feel.It also helps in cleaning the blocked pores thereby improving hair quality. Apply your favorite shampoo or conditioner on your hair tresses and do not wash. After the conditioner gets absorbed, apply some jojoba oil to the scalp and massage continuously. Wash your hair in plenty of water after 20 minutes. This helps in removing the dryness and prevent split ends. This oil also helps to stop receding hairline and regrow the hair naturally. You must have tasted mayonnaise on your sandwich. How yummy it feels! This can also be used to cure your split ends because of the essential oil and fat present in it. Yes, that’s right! Take some mayonnaise in a cup and add some aloe vera sap to it.Blend them properly and use it as a hair mask.This mask can be applied once in 3 weeks.This helps in removing dandruff and helps in oiling of hair. Take a ripe banana and mash it into a paste with your hands.To this mashed banana add an egg, few drops of honey and some milk.Mix them properly.Apply this mixture on your hair tresses to avoid frizziness.Wash it after 30 minutes.This banana mask acts as an agent for damage control and also repairs the hair strands. Take some capsules of vitamin-E. These capsules are easily available in local market.Break open the caps from the middle and pour the oil present in it into a bowl of lukewarm water. Mix them well and massage your hair tresses gently with this mixture.This will give a glossy effect to your hair and will also prevent the split ends. 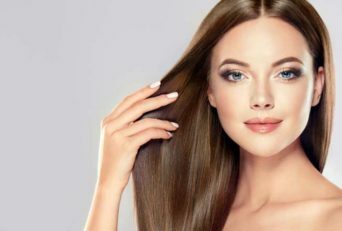 To prevent the occurrence of the problem of split ends you need to follow certain tips and tricks.The tips for proper hair care is given below. • Wet hair should be dried before combing. Wet hair tends to form tangled knots, which, if combed results in breakage and thereby split ends. • Excessive use of hair styles should be avoided.Instead, you should use aloe vera serum so as to get a nutritious, natural and shiny hair glow. • Use of cosmetics and straightening agents should be avoided to prevent your hair from exposure to harmful chemicals and other additives. • In a view to avoid dust and pollutants, try to cover your head before going out. This would protect you from these pollutants and prevent the atmospheric dust to settle at the base of the scalp. This will keep your hair healthy. • Get regular trimming of your hair in every two months. Short hair tends to be easier to manage and to look after. • Try to use hairbrushes having nylon bristles. This will not only help in light massage but also reduce the chance of split ends. Nylon bristles tend to be light on the tangled hair knots and do not result in damage to the hair cuticles. • Use a good quality conditioner on your hair. A conditioner helps in maintaining the moisture of hair and keeping it hydrated even after washing. • Use mild anti-dandruff shampoo for washing your hair. This is because they contain fewer chemicals. • Use lukewarm water to wash your hair. Do not wash your hair in hot water directly. Lukewarm water not only helps in propagating blood flow in the pores but also helps in concentrating the applied proteins on them. • Try to use a wide toothed comb as it helps in easy detangling of your hair. • Regularly oil your hair to provide hydration and moisture. This would also provide regular nourishment to the hair roots thereby making it thicker and longer. • Use a hair dryer with a nozzle for controlling direction. Smoother the flow of hot air on the hairstreaks, lesser would be the chance of dryness and split ends. • Consume foods (brown rice, lentils, almonds, soybeans) containing nutrients such as folic acid and biotin that improves the blood flow. This will provide continuous nourishment and also helps in keeping the hair tresses enriched. • Drink sufficient water to remove toxins from your blood. The cleaner the blood better is the hair growth. Above were some home remedies and some tips to prevent hair problems like split ends. Try them they can be very helpful for you. Little maintenance and guidance will leave you with lustrous and beautiful locks of hair. Excessive and intense washing of your hair may result in degradation in the quality of your hair.This can be a reason for split ends. Every day you come in contact with dust, fly ash and air pollutants that cannot be avoided because of the rising pollution.This also forms a reason by which you develop split ends. Nowadays people use lots of stylers, gels, chemical shampoos, conditioners and straightening agents. All these affect the thickness of the hair due to the harmful chemicals present in them.This ultimately causes split ends. Direct usage of hot water on your hair tresses will result in dryness of hair, leading to split ends and high hair fall rate. By the use of bad grade plastic combs, pins, bands, etc., your hairstreaks tend to tear apart causing the ends of the hair to split. Proper maintenance of hair is very important.Lack of cutting and trimming and poor maintenance also leads to split ends. Improper oiling your hair can lead to dryness and increased hair fall condition in you. When you wash your hair in hard water and water treated with chlorine it results in blockage of the hair pores.This gradually results in balding and split ends. Regular dipping in seawater can also be a reason for bad hair condition.The salt present in the water tends to affect the texture of the hair by acting as a corrosive agent. Excessive use of hair dryer mostly by women increase the dryness of the hair resulting in split ends. Hope the article was of use to you. Try some of the home remedies and we will love to hear from you. Leave your comments below.